| New York, NY - November 27, 2018 | The lifestyle brand, BLACKBARN, debuts its exclusive Water + Water line of beauty products, utilizing the nutrient power and healing properties of kelp and seaweed from French Brittany for a refreshed, dewy complexion. 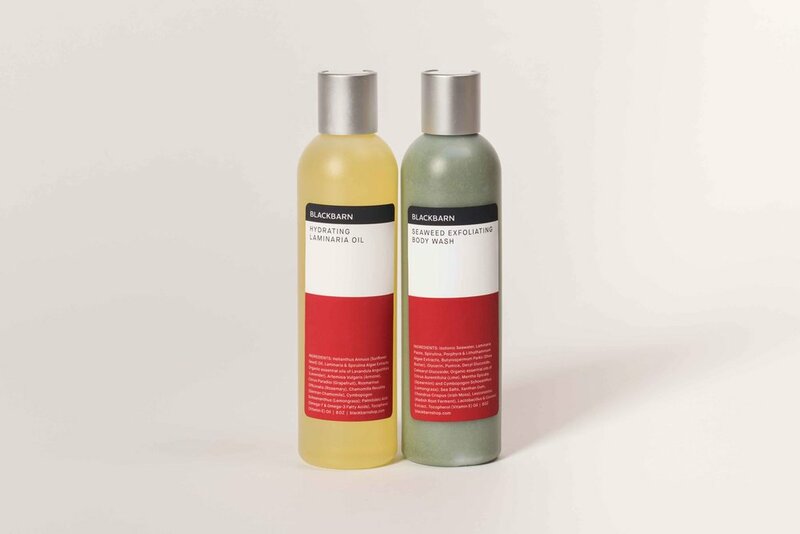 The skincare line, designed by Mark and Kristen Zeff, was formulated with BLACKBARN’s proprietary seaweed gel base that produces optimal hydration by improving circulation and repairing damaged skin cells. Due to its high iodine and mineral content, kelp is believed to help moisturise and soften the skin, and aid in retaining that moisture. 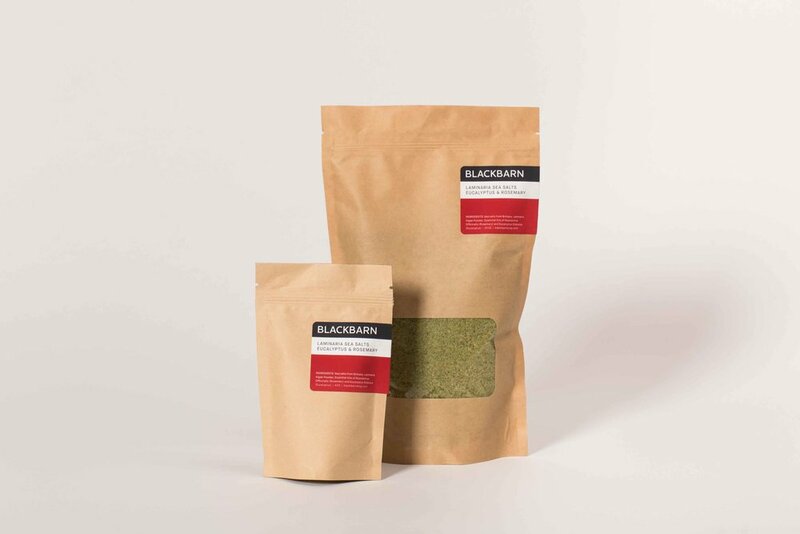 The kelp from Brittany is particularly rich in antioxidants, which are incredibly nourishing for the skin, and has potent anti-ageing properties. The composition of Water + Water products, from clay masks to exfoliating sea salts, is therefore all natural, and contains no mineral oil, paragons, sulfates, or artificial fragrances or colors. 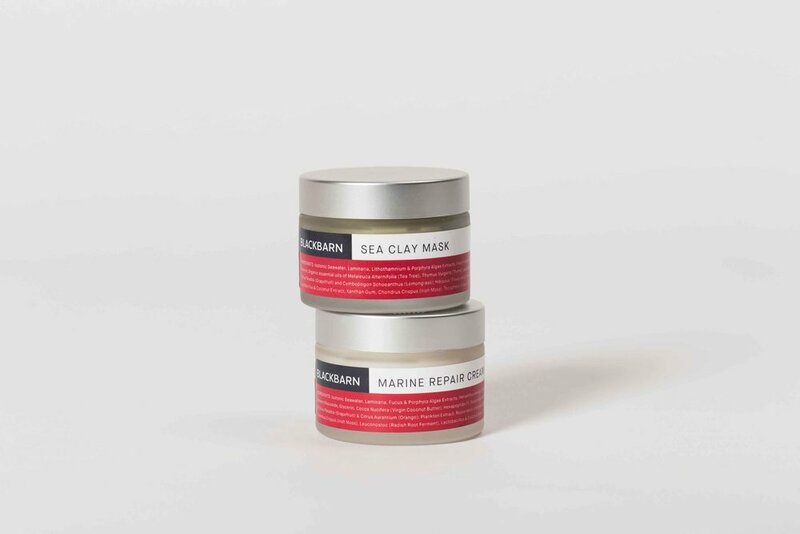 Sea Clay Mask ($29): Formulated with seaweed and green clay, this purifying mask unclogs pores, inhibits bacterial growth, and controls the sebum production responsible for skin congestion. A blend of aromatic and antiseptic essential oils refine and refresh for an instant glow. 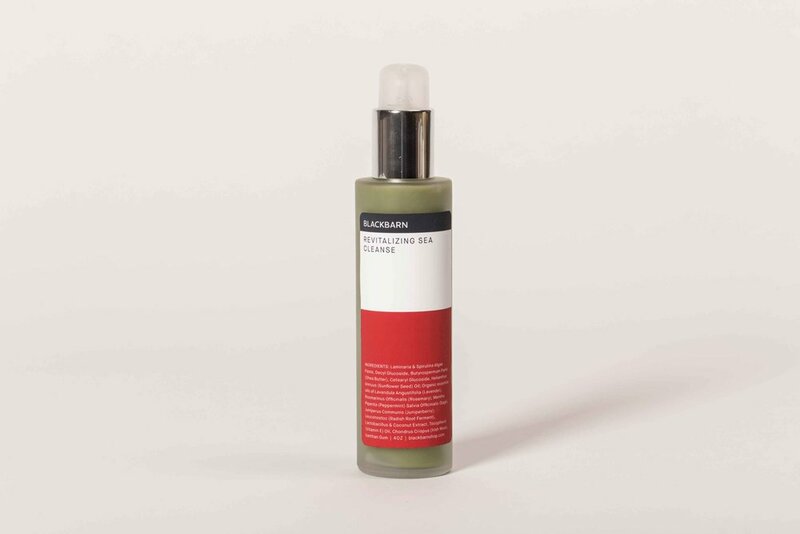 Hydrating Laminaria Oil (small $12, large $32.50): Lavender, geranium, and roman chamomile revive lackluster skin with antioxidant oils that stimulate circulation and provide cellular protection. Laminaria Sea Salts (small $10, large $38): Rich in minerals and nutrients that fight skin aging and prevent environmental damage, these sea salts dissolve in bath water for relaxing scent and feel that uplifts the spirits. Exfoliating Body Wash ($27): Start the day with this invigorating foam wash made up of organic seaweed and fine pumice that exfoliates dead skin away. This product promotes a more even skin tone with a soft glow while refreshing the senses with a hint of lime, lemongrass, and spearmint. Revitalizing Sea Cleanse (small $13, large $27): A deep pore cleanser formulated with Laminaria algae, this product revitalizes the skin with aromatic essences the stimulate microcirculation to restore a healthy glow. BIO Active Serum ($54): This serum is liquid gold; pure seaweed concentrate is blended with essential oils for perfectly smooth skin. Antioxidants restore minerals and reduce fine lines and wrinkles by promoting collagen synthesis, giving an even tone and bright vitality. 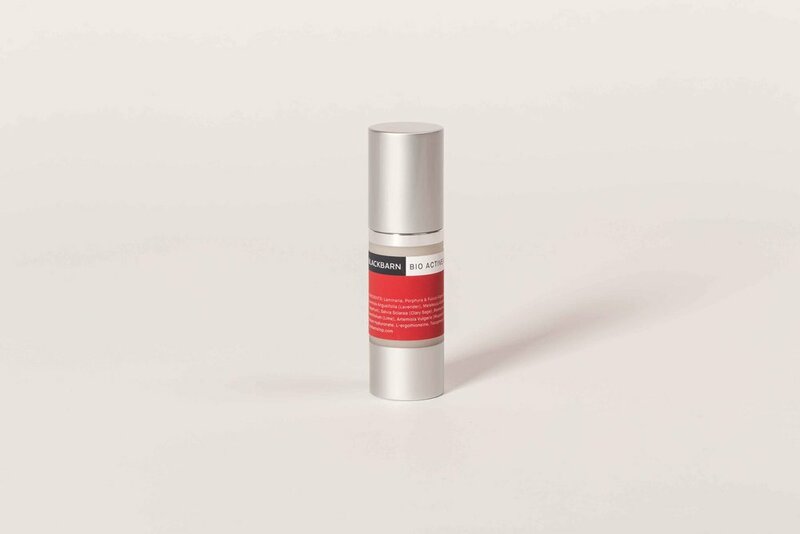 Marine Repair Cream ($77): The ultimate anti-aging moisturizer, this cream has an optimal concentration of skin-firming agents: seaweed extracts, hexapeptides, arctic peptides, and antioxidants enhance collagen synthesis to turn back the clock and leave skin silky. Water + Water products may be purchased online at www.blackbarnshop.com or at BLACKBARN shop, cafe and bar in New York City’s Chelsea Market (75 9th Avenue, New York NY 10011). The most recent development, BLACKBARN Chelsea Market shop, cafe & bar, changes the way New Yorkers dine and shop for home goods by uniting hospitality and retail, in a homewares and accessories shop with a café & bar, to create the total brand experience.